Do you like English? Of course you do, that’s why you’re visiting this blog. Here you can find news items, interesting links and extra exercises to practise your English. You can also find the short films, songs, powerpoints and other documents that we’ve used in the classroom. I hope you’ll enjoy it. If you have any questions or remarks, please let me know. Fawlty Towers, indeed. Here’s one for the John Cleese fans. Click on the link and enjoy this commercial spot. This clip shows you why learning another language can be useful. 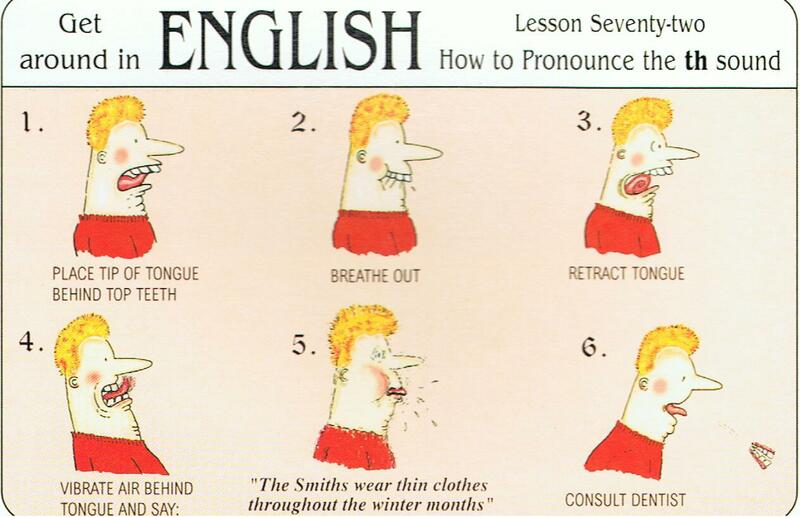 Students often let me know that the pronunciation of English is rather difficult for them. Well, here’s some good advice.